Living in Angeles City has it’s advantages and disadvantages compared to most other cities in the Philippines. No matter where you choose to live one of the constant challenges of everyday life here is simply getting around. Traffic can be heavy even in smaller cities and driving your own car is simply not convenient. 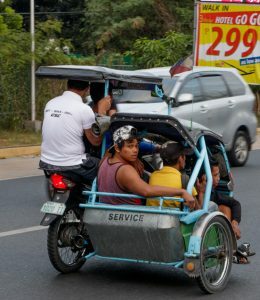 owning or renting a motorcycle or scooter can be a viable alternative but in bigger cities you had better be a confident driver. 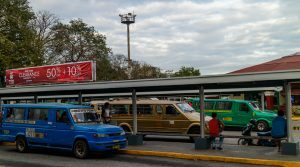 Unlike some expats will tell you for the most part travelling with public transport in the country is not that hard and for the most part foreigners will not be scammed. Jeepneys have a set fare and everyone pays the same. 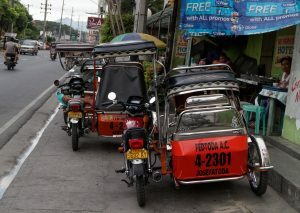 On trikes in many cities a minimum fare has been established and will be listed on the inside of the trike’s sidecar. Trike! Trike!! Trike Ride! Ride Trike! Should you not acknowledge this offer the call will be accompanied with loud clapping of hands. This is a tried and true trick to attract the attention of tourists while not annoying them in the slightest. If Angeles is not the first city for you hopping into a trike you will know that this price is far from reasonable. A shorter ride in many cities will often cost you around 20 rather than 150. 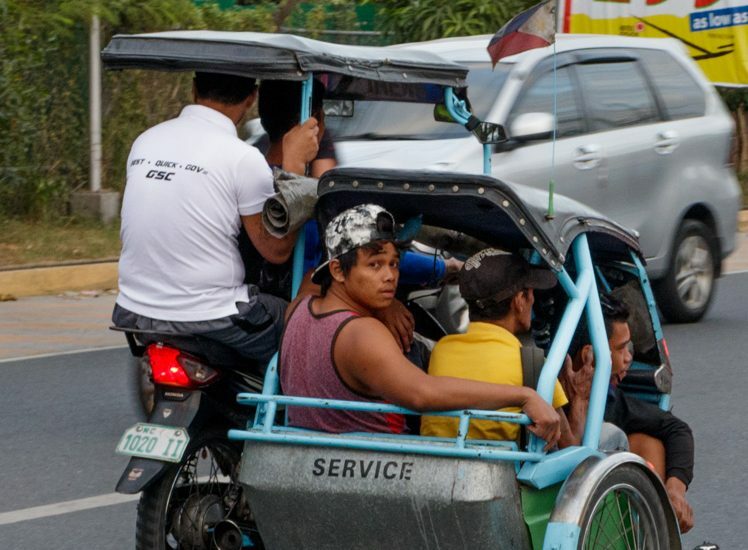 In Angeles City the trike driver’s association have apparently all agreed that since there are so many foreigners in the city and a lot of them are here for a shorter time they should pay more. This means that no matter how many drivers you inquire with you fare will always be 100-150 Peso. So what are you alternatives if you are here for the long haul or you’re simply to stingy to pay what amounts to a typical local half days wage for a 10 minute ride on a half broken, modified Rusi Rouser? Why not grab a Taxi? 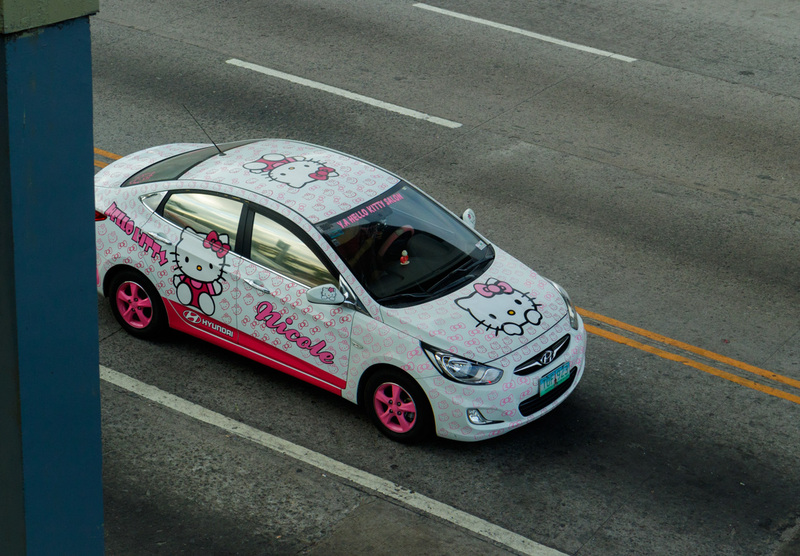 Angeles city does unfortunately not have taxis. There are “taxis” however. These are frequently unmarked and always unmetered. So ride with one of these you will have to negotiate the fare beforehand. I have never taken these myself and would never ride in an taxi without a meter. By what I have found online it seems that a trip to Clark airport will run you in between 300-500 Peso which is about double from what it would cost with a proper metered taxi. 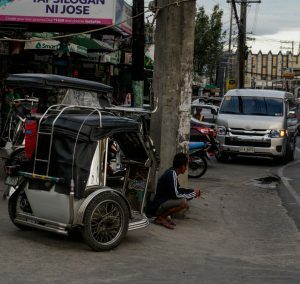 The lack of real legit taxis is a major blemish for a city that boasts a growing international airport aiming to provide an alternative to the chaotic airport in Manila. 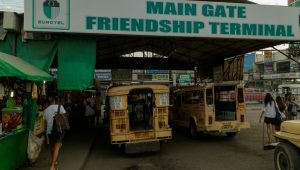 Well in Angeles the Jeepneys are a better alternative were you can be sure to be charged the same rate as a local. As an added bonus the system for Jeepneys in the city is slightly less confusing than in most other cities thanks to the genius move of color coding the different routes. Also travelling like the locals is part of experiencing the country. 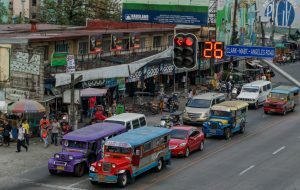 A sad part bout this solution is of course that the Jeepneys in Angeles don’t have quite as much personally as the garishly painted ones that can be found in many other cities but while making them less photogenic their uniform color schemes makes it a loss easier to figure out which one to hop on. For those interested here is a somewhat helpful map of the local jeepney routes.